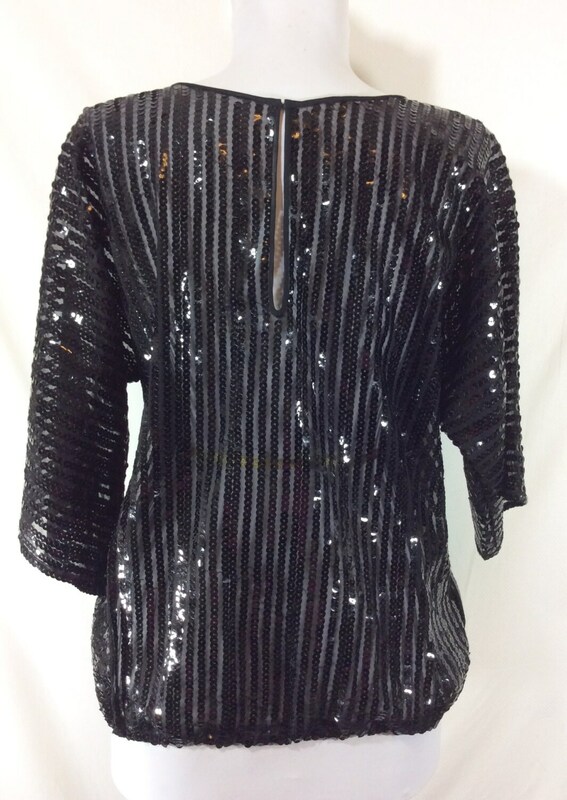 This fabulous top could be worn in so many different ways and is perfect for a night out! This label-less beauty is well constructed and is in immaculate condition! No missing sequins, stains, loose threads, or holes. 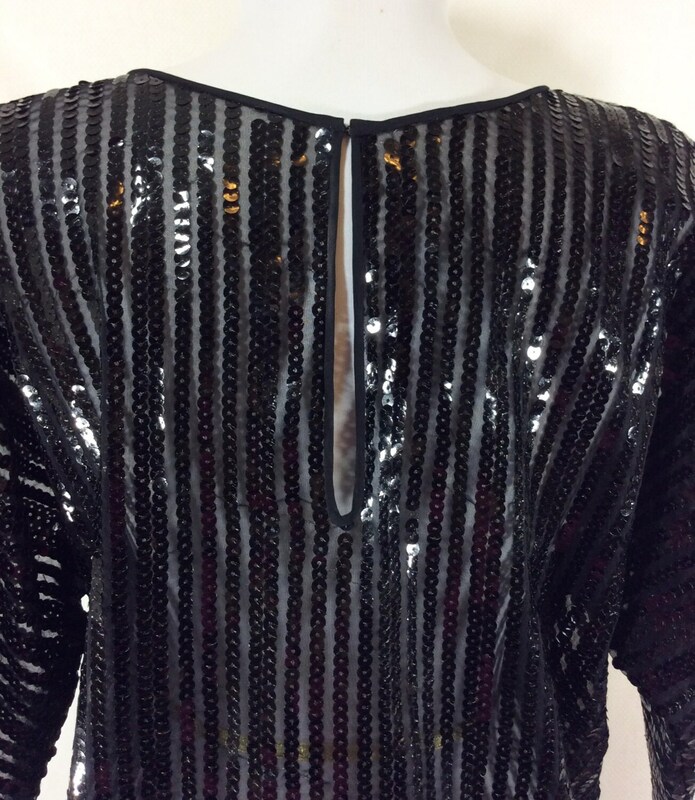 The mesh fabric is adorned with sequin stripes running vertically in a very flattering way. There is a keyhole with hook and eye closure at the back neck which gives it another special detail and allows for extra room for movement. The sleeves have generous arm holes, making this a comfortable garment to wear. There is also elastic at the waist for a great fit. 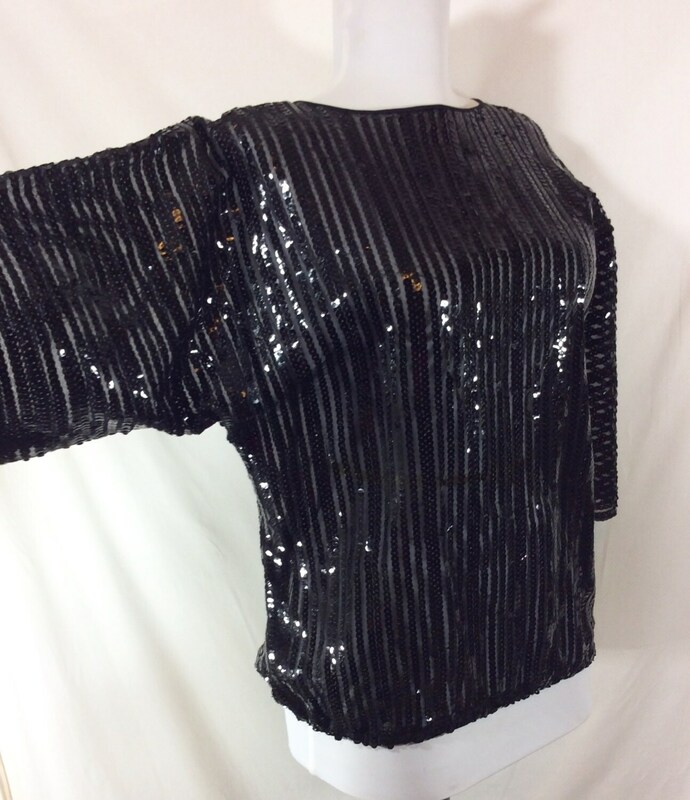 This blouse really shimmers under lights, it looks wonderful on stage, as a costume, or paired with a sleek skirt for a cocktail party! Measurements taken closed, lying flat. Waist- Stretches 13-17 inches across. Sleeve Length- 13 inches long.